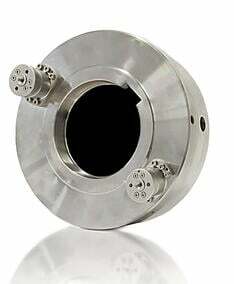 R+W Safety Couplings for Wastewater Applications. By popular demand, R+W has developed a standard model of corrosion proof ball detent safety coupling for clarifier drives in water treatment plants. The industry requires a well sealed, high grade stainless steel mechanism to stand up to harsh conditions, resulting in the specific design criteria. The function of the ball detent torque limiter is to disengage the driveline to protect flights, chains and sprockets in the event of overload, which can result from the high gear reductions associated with the slow speed movements required in the settling tanks. Two standard body sizes are available, with a maximum bore diameter of 2.5” and disengagement torque settings ranging from 1,600 to 21,000 in*lbs. Custom options are always available on request.